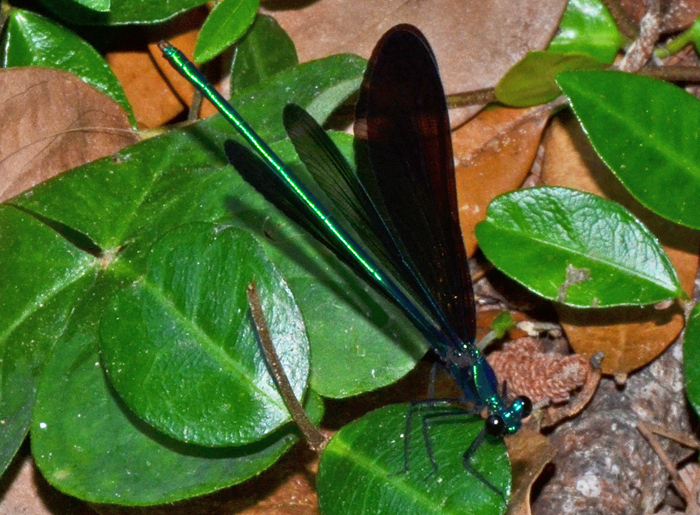 Calopteryx maculata (Ebony Jewelwing) ♀. Size: approx. 50 mm. Photo: 06/09/14, 6 pm. What a beautiful and surprising damselfly! The photo clearly shows the female-characteristic white spots on the wings. It was easy to get close because the adults of this species are not very strong fliers and only flutter a short distance when disturbed. Too bad that I couldn't take a picture of the "open", fluttering wings but my 8 GB SDHC card declared itself full after only four photos. Perhaps it needs to be reformatted? 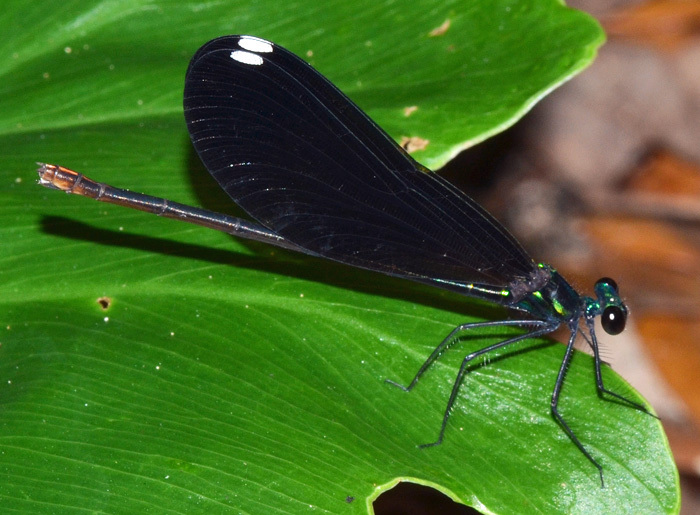 Calopteryx maculata (Ebony Jewelwing) ♂. ... and here is a male all of which lack the white stigmas and have blueish green bodies. 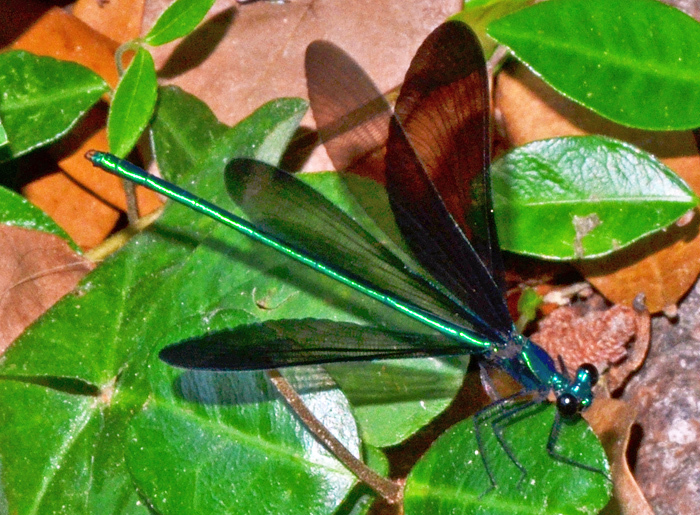 The second link notes that these weak fliers are found in wooded areas near but never at small ponds or creeks, possibly to avoid predation but larger, stronger damsel or dragonflies. Absolutely correct for this example.